Forget those people who espouse that an in-car air-fuel ratio gauge is merely another bling accessory to be hung from the A-pillar. An air-fuel ratio (AFR) gauge is a must-have for any highly strung engine – its importance is right up there with an oil pressure gauge or a boost gauge. In this two-part series we’ll look at the specs of in-car air-fuel ratio gauges currently on the market – all the way from cheap narrow-band gauges to professional wide-band gauges. 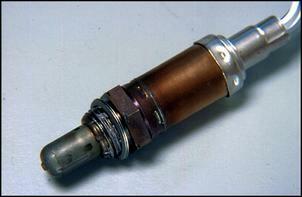 An air-fuel ratio gauge relies on the signal from an oxygen sensor mounted in the exhaust. In the case of a low-cost narrow-band gauge, the gauge typically receives a voltage signal from the factory fitted oxygen sensor (which is used to provide closed-loop information to the engine ECU). In a more expensive wide-band gauge, you’ll typically need to install a stand-alone wide-band oxygen sensor into the exhaust gas stream. Regardless whether it’s a narrow or wide-band type, an oxygen sensor constantly sniffs the exhaust gasses from the engine and outputs a voltage signal that represents the air-fuel ratio. 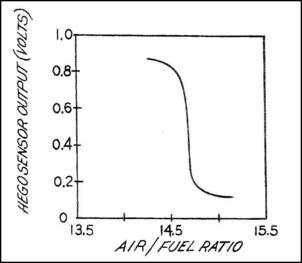 Most narrow-band sensors provide their highest output resolution at air-fuel ratios around 14.7:1 (aka stoichiometric). Away from 14.7:1, the oxygen sensor typically outputs a lower voltage with lean mixtures and a higher voltage with rich mixtures - but be aware that accuracy of a narrow-band sensor falls away dramatically either side of 14.7:1. That’s where wide-band oxygen sensors come in. As its name implies, a wide-band oxygen sensor offers accuracy over a greater air-fuel range. This means you can more accurately determine mixtures under full load (generally in the 11:1 to 13:1 range) and, as a result, you can tune more aggressively. Another major benefit of a wide-band air-fuel ratio gauge is the integrated temperature correction strategies. Temperature has a major effect on oxygen sensor voltage output and any good wide-band system will have temperature compensation to ensure accuracy at all times. Certainly, a wide-band AFR gauge is vastly preferable. The main reason for installing an in-car air-fuel ratio gauge is to be alerted if the engine is running lean at high load. In these conditions, the chance of detonation increases, exhaust gas temperature shoots through the roof and you can expect broken valves, damaged spark plugs, damaged pistons, blown head gaskets, melted cat converters – all sorts of nasties. On the other hand, an overly rich mixture can also cause damage. 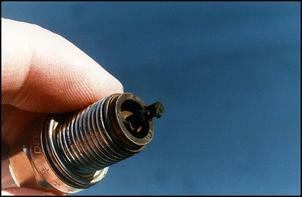 In extreme cases, this can cause accelerated bore wear, spark plugs will get covered in carbon and you can expect poor fuel consumption. Excessively lean or rich mixtures can also cause drivability problems. 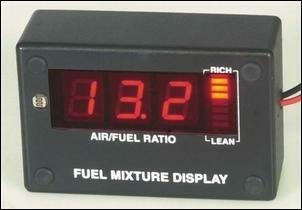 The cheapest air-fuel ratio gauge on the local market is the Mixture Display Kit for Fuel Injected Cars. 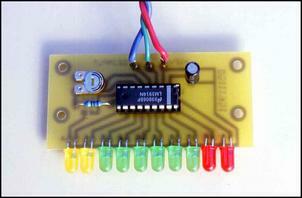 This device is designed by Silicon Chip electronics magazine and retails through Jaycar Electronics (Cat No KC5195). Developed in the mid ‘90s, this kit is the most basic form of air-fuel monitoring – it simply shows a 0 – 1V oxygen sensor signal across a 10 LED bar graph. Two red LEDs are configured to show an extreme lean condition while two yellow LEDs at the opposite end of the graph indicate rich mixtures. 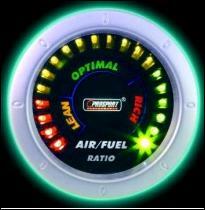 Air-fuel ratios around 14.7:1 are shown by six green LEDs. This kit comes with a printed circuit board, all necessary electronic components (including 3mm LEDs) as well as instructions. The unit is extremely easy to assemble, calibrate (using a single potentiometer) and gives excellent at-a-glance mixture identification. No wonder thousands have been sold. See Cheaply Monitoring Air/Fuel Ratios for full details. First, the unit now incorporates an engine load input which, when the user-defined load is met, triggers a warning buzzer to let you know if the engine is running dangerously lean. No need to take your eyes off the blacktop when you’re really going for it. Second, the Smart version brings auto-dimming which is a welcome addition for nighttime driving. The unit also incorporates improved circuit protection for better reliability. See Smart Mixture Meter, Part 1 and Smart Mixture Meter, Part 2 for how it works and step-by-step fitment and calibration. Again, this unit is developed by Silicon Chip and is available through Jaycar Electronics (Cat No KC5374). Developed in 2000 by Silicon Chip, this unit boasts a numerical display of air-fuel ratio in addition to a compact 10 LED bar graph. The three-digit numerical display is updated every 440ms while the LED bar graph is updated every 220ms. 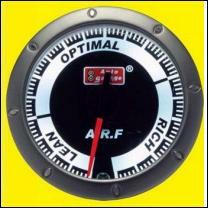 Air-fuel ratios of 11.8 to 20.6:1 are shown and, like the previous products, it’s calibrated by a single potentiometer. An auto-dimming function is also incorporated. The kit includes all necessary electrical components, a case (with a silk screened front panel and laser cut hole for the display screen) and ambient light sensor (which is visible to the left of the display). Unfortunately, the unit is not particularly easy to install due to the bulk of its plastic case. Sold by Jaycar Electronics (Part No KC5300), this unit has the bonus feature of a numerical display but it doesn’t have the all-important high-load lean-out alarm of the Smart Meter. 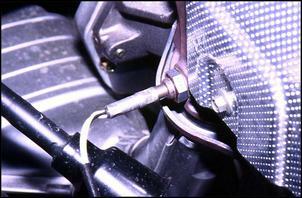 Its bulk also makes it more suitable as a removable tuning tool rather than a permanent in-car fixture. 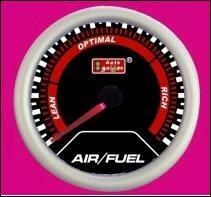 The Asian-built AutoGauge brand offers several in-car air-fuel ratio gauges across a very affordable price range. The AutoGauge Stealth 1 Digital air-fuel ratio gauge uses a conventional gauge-style body and its 52mm diameter enables it to be mounted just like your boost or oil pressure gauge. The Stealth 1 Digital uses a 270-degree circle of LEDs (which are graded green, yellow and red) and Lean, Stoich and Rich marked segments on the face. It also has a smoked glass facia (with full ‘blackout mode’ when switched off) and a silver outer rim. A new Stealth 1 needle-style gauge has also been released. 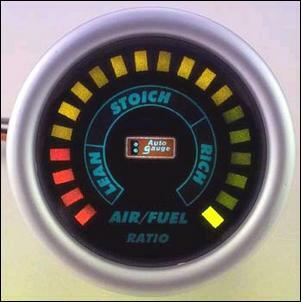 The Stealth 1 needle type air-fuel gauge has a 270-degree sweep with an illuminated red pointer, red/blue scaling (marked Lean, Optimal and Rich) and LED illumination. It also boasts an ‘opening ceremony’ (full gauge sweep with ignition-on)and, when switched off, the gauge is near-invisible thanks to a blackout facia. The Stealth 2 is another needle style gauge except it has a full 360 degree sweep and a 52mm face. The unit features an opening ceremony, white LED illumination and a red pointer. Again, the glass facia is smoked and is near-invisible when switched off. The AutoGauge Stealth 3 is a needle-type gauge featuring opening ceremony, a scratch-free blackout stealth facia, illuminated red pointer and the choice of white or red scales. The scale is marked Lean, Optimal and Rich and the gauge face is upsized to 60mm. Outside of the Stealth range, you can buy a white face/silver rim 52mm air-fuel gauge with red, green and orange LEDs providing a 270-degree sweep over a scale marked Lean, Optimal and Rich. But most eye-catching in the range is the new AutoGauge Ghost Mirror Face AFR gauge (seen here). This unit has a mirror effect facia which, when turned off, has a mercury silver mirror finish. 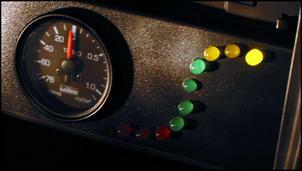 When switched on, the air-fuel ratio is displayed on a 270-degree sweep of red, yellow and green LEDs. These different colour zones are marked Lean, Optimal and Rich respectively. 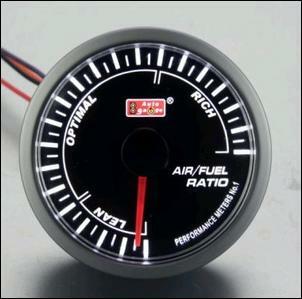 These gauges can be sourced from most mainstream go-fast parts specialists and can be found on-line. Prices: Stealth 1 Digital, Stealth 1 Needle Style, Stealth 2 and White Face/Silver Rim AFR gauge - AUD$59. Ghost Mirror Face AFR gauge around AUD$63. Stealth 3 AFR gauge AUD$79.